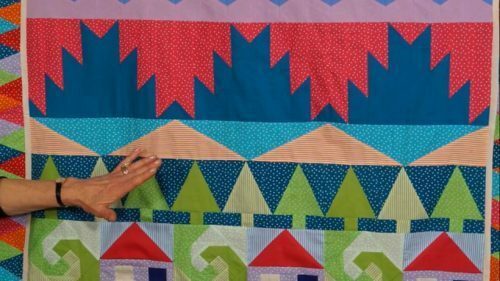 This is a simple variation on log cabin, but just look at the wonderful patterns it creates. 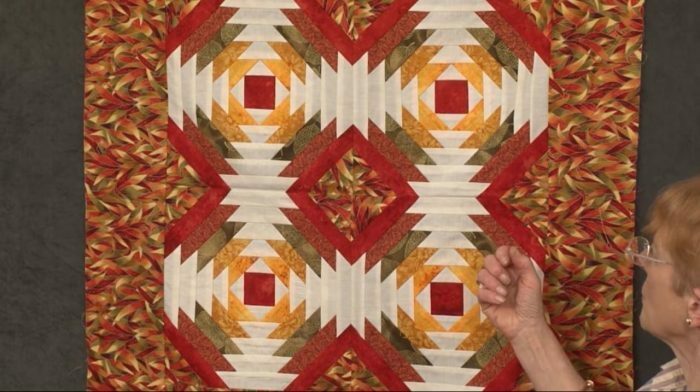 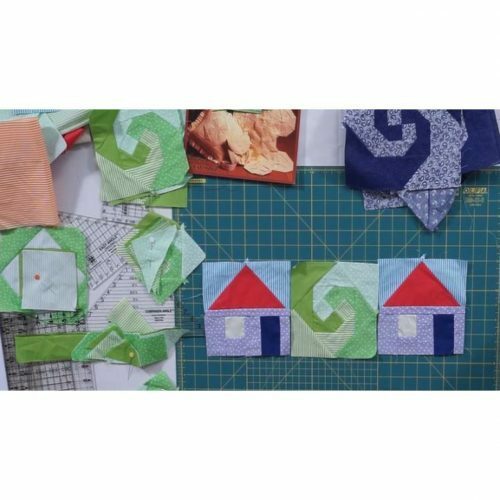 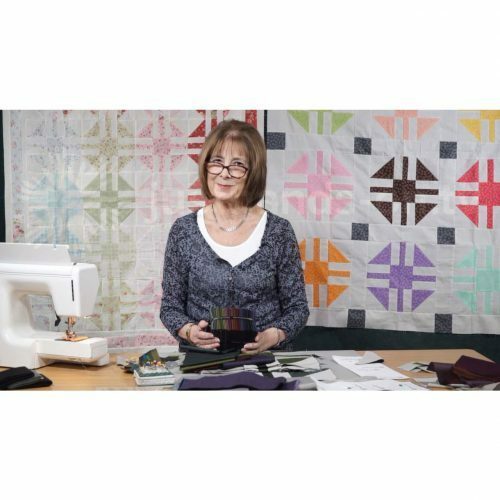 Jennie guides you through the simple strip piecing that is needed to create this interesting variation on the basic log cabin – would you have guessed on it’s parentage?! 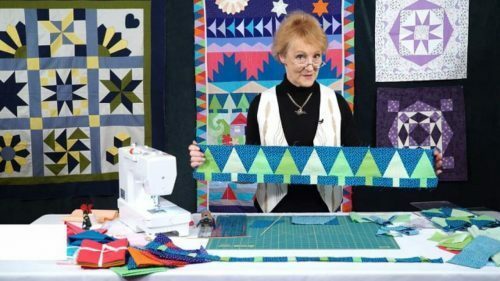 She reminds you that the strips are cut on the angle, so don’t get carried away with the pressing, and the strips get sewn onto the centre square in a court-house steps style – i.e. 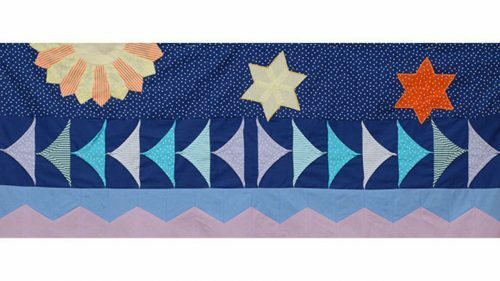 opposite sides first. 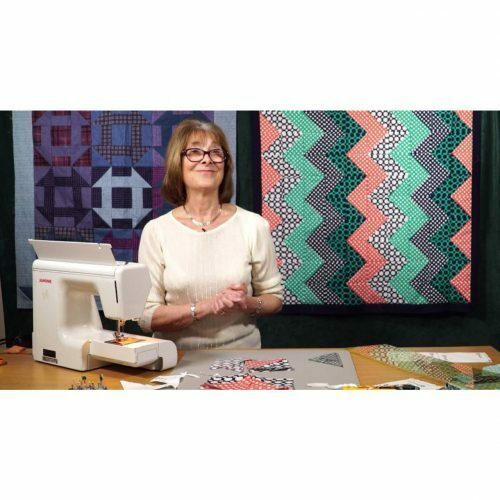 As always the workshop is full of useful tips – not least on how to save fabric when creating this trapezium shape. 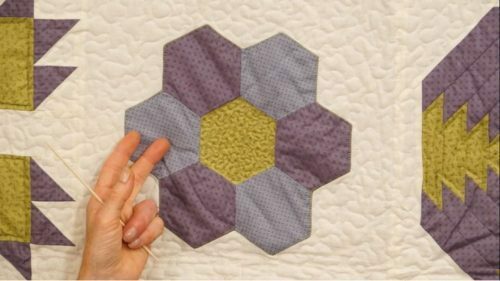 She also invites you to play with colour – and what about her final challenge – to create a spiral. 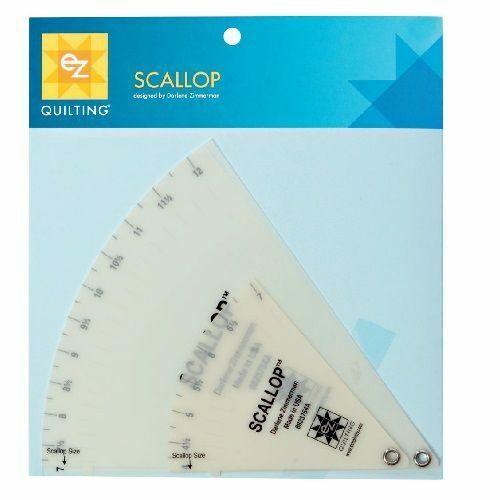 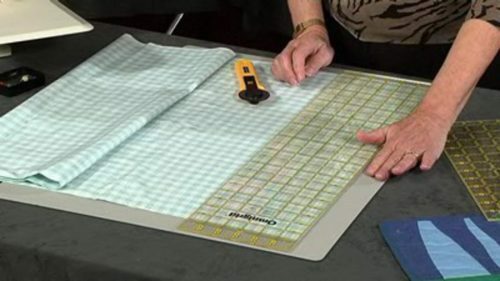 The whole block is made easier by the use of the template ruler, but the block was made long before this was developed, so you can use your regular rotary ruler to create the shapes, but bear in mind that the block can buckle – so pay attention. 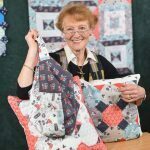 Jennie is a world renown quilt teacher, lecturer, author of nine quilt books and numerous patterns.